Your foundational nutrition is EVERYTHING. It's truly your "Core." It doesn't matter if you're an athlete, fitness enthusiast, business executive or simply someone looking for enhanced health and wellness. When you give your body exactly what it needs to satisfy its baseline nutritional requirements, you're building a stable foundation for your house. Then, it's up to you how much you want to raise the ceiling. Take care of your body from the inside out. This product gets that done. 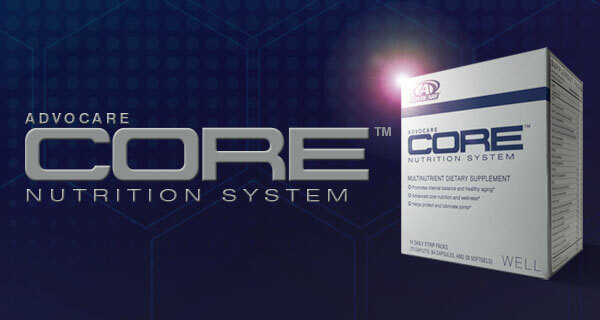 For more detailed information on AdvoCare Core, please download this document. YES! I Want to Look, Feel and Perform My Best!